White Line Projects were commissioned by the University of Westminster to set up and curate the Westminster Menswear Archive in 2016. The brief was to create the handling archive, following museum conservations standards, and enhance the experience of visitors. The Westminster Menswear Archive has examples of some of the most important and exciting menswear garments covering the last 100 years, including designers such as Alexander McQueen and Massimo Osti, as well as alumni and recent graduates such as Liam Hodges. Additionally, the archive includes an extensive range of utilitarian and uniform garments. 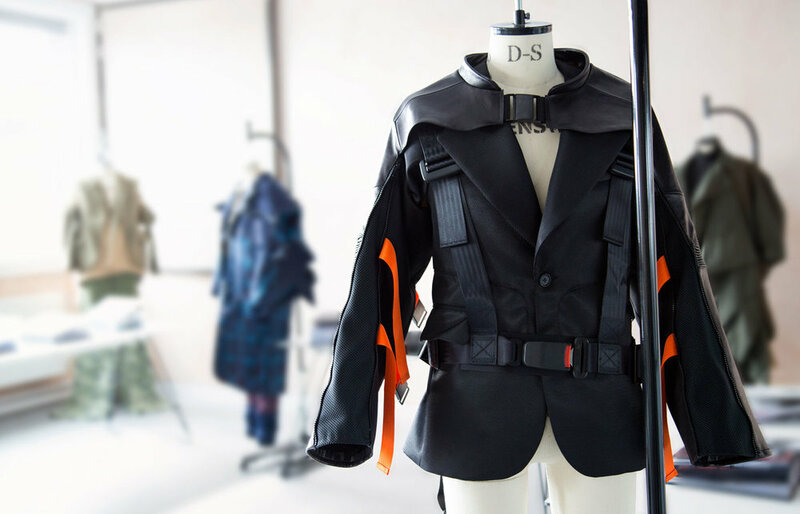 The archive is aimed to encourage and develop the study of menswear design from a technical and functional point of view. The archive is also intended to advance the general knowledge of menswear as a design discipline and to be used as a resource tool to inform contemporary menswear design. Users include students, researchers, academics and members of the menswear design industry that will be using the archive for research and design inspiration. If you want to know more about our journey and process setting up the Westminster Menswear archive, see here.
" White Line Projects helped us to shape the purpose and ambition of the collection. Throughout the process, we found White Line Projects to be highly engaging, adaptable and confident when dealing with the various challenges that we faced from developing a significant new costume collection from scratch. They enabled us to realise our ambitions and supported us all the way from the initial idea, right up to the collection launch some two years later."